2. Stochastic %K NO tigger BUY call yet. 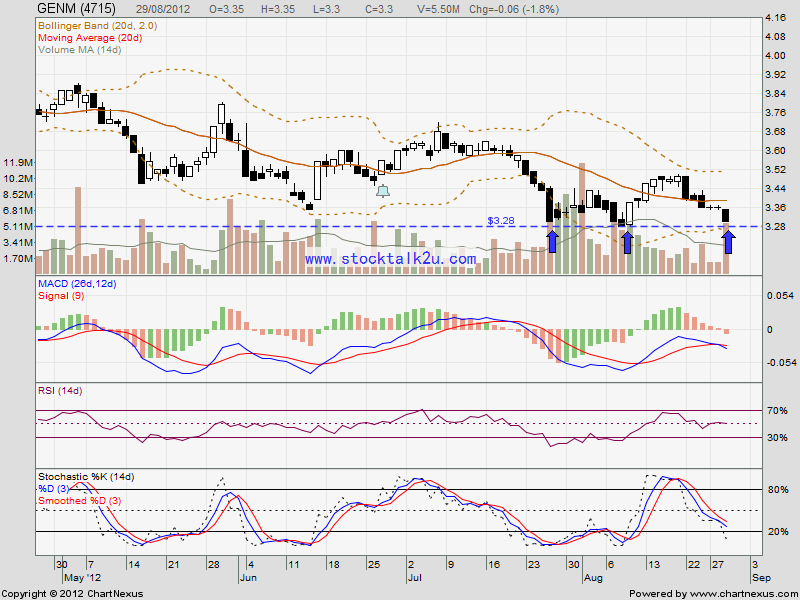 If rebound, immediate resistance @ MA20 / MA50 level. 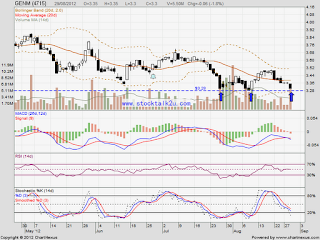 If retrace down, RM3.28 would be immediate support level.